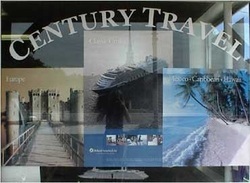 Century Travel has one of the most experienced consulting teams in the industry. Our guidance and consultation save you valuable time and ensure that your trip is handled by trusted professionals from beginning to end. Call or email to set up an appointment or to learn more about how our expertise and resources can enhance your experience each and every time you travel. Expert guidance establishing a destination that works best for your travel needs based on your goals for each trip. This includes desired climate, activities, etc. Assistance with air if needed, when in conjunction with additional vacation arrangements. We are able to offer some contracted rates with significant discounts on preferred international schedules with special fares on first and business class international tickets. Professional consultants who are passionate about building relationships with clients, learning and understanding your likes and dislikes, and proving themselves to be deserving of your trust. Discounts at over 10,000 luxury hotels, resorts and villa's worldwide including exclusive amenities available only through Century Travel. Personalized reservations made with personal preferences in mind, frequent flyer numbers, hotel and car company ID numbers, etc. Dedicated, willing and knowledgeable agents to help with problems while you are traveling. We are your advocate and we have "friends in high places." Recommendations for accommodations (hotels, villas, vacation homes), group or private transfers/drivers, private guides, VIP/Insider access, and more.